What effect will getting married have on our Partner Visa Application? Now this blog is all about myth busting some of the biggest misconceptions when it comes to partner visas. This blog is not intended to crush the dreams of any woman or man hoping the partner visa process would encourage the need for a wedding. The short and sweet of it is, marriage is not essential to be eligible for a partner visa. The decision of when to marry or not is best to be made when you’re ready for marriage, not because you feel that it’s the only way for you to be together in Australia. Today’s blog entry looks at the effect getting married may have on your related visa situations, so you can decide whether or not it’s necessary for you to marry now or at a date when your beloved can surprise you! Busting one of the biggest myths out there right now, we can tell you that ‘getting married or registering your relationship has LITTLE effect on your immigration status’. That’s right! People often think if they are married, the Non-Australian partner qualifies for citizenship automatically, but this is not the case. You need to look at applying for a visa that will suit your circumstances. If it’s a partner visa, you will need to prove you are in a genuine and continuing relationship, just like everyone else. A marriage certificate alone doesn’t do that! You need to apply for a suitable visa, for example, a partner visa or maybe a parent visa (depending on what you best meet the requirements for). #Myth 3 – Getting married will make applying for the Partner Visa cheaper! The short answer is “It won’t! !” unfortunately. 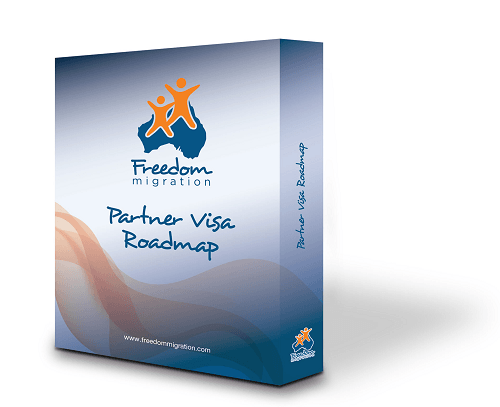 Even if you do get married, you still have to go through the process, the same as everyone else and apply for a visa under the Partner Visa stream. You still have to pay the outrageous $7000 government fee to lodge the application, and you still have to supply all the evidence showing your financial and social commitments. So with the cost myth, getting married will actually be more expensive as you will have the combined cost of the wedding AND the Partner Visa application. Okay! so that is three major myths busted, what are some of the other questions we get asked about getting married for the sake of the visa? Good question! And on this one, we offer some considered advice….. The Partner Visa process is stressful enough and if your relationship is not at the ‘marriage stage’, the added pressure can cause avoidable complications. In fact, we’ve seen plenty of cases where couples in a married relationship have come to us with a visa refusal! You really want to get married at a time that suits you and your partner, so you can plan ahead and have the wedding you’ve always wanted. However…A marriage certificate alone DOES NOT PROVE you are in a genuine and continuing relationship, which is really the KEY element the Department of Immigration and Border Protection consider when assessing your Partner Visa application. For example, if you and your partner get married within one to two months of meeting, or you have very little evidence of being in a relationship prior to the wedding, immigration will take a very close look at your case to ensure the marriage is not just for immigration purposes. Now, we are not saying a ‘shotgun’ wedding case would not be approved but you would have to provide supporting evidence as proof of your ‘genuine and continuing relationship’ the same as everyone else. You won’t have the advantage of ‘time’, meaning you won’t have as much evidence of the various aspects of your relationship that a couple who have been together for 12 months may have. Immigration may have concerns about how well you know each other. While proving your commitment, it could be argued in some cases that marriage carries more weight than registration of relationship or civil union. In a recent case from the Department of Immigration, the decision-maker said (and I quote): “I give little weight to a registration of relationship certificate given how easy it is to obtain”. In this case, one party was not in the country when the relationship was registered. However, they registered their relationship nonetheless. Marriage will not affect your immigration status directly, although it may be very useful in proving to the Department of Immigration and Border Protection that you and your partner are in a genuine and continuing relationship. If you have more Partner Visa related questions, then check out our FAQ page or if you feel it’s time to get answers to your specific questions, call and get yourself booked in for a Visa Planning/Advice Session on Ph: 07 3063 1200. Maybe I’m missing the subtlety but it sounds like you’d still have to provide the same kind of paperwork regardless. Yes, you are 100% correct, even if you get married or register your relationship you will still need to provide sufficient evidence to prove your relationship is genuine. Can I still apply for the De facto if my partner and I are engaged? We don’t plan on getting married for a few years, so we don’t want to get the fiancé visa. Hi Abigail, de facto or fiancé, it’s essentially the same visa you are just applying on de facto grounds. How long have you and your partner been in a de facto relationship? If the visa is denied, do you lose the $7000 ? Hey Imogen, the short answer is yes, the application fee is not refundable if the visa is not successful. You may however have the right of an appeal but this is even more expensive. You really want to make sure you get it right first time, that’s why we tell everyone to get some advice before proceeding. We offer a 1hr Visa Planning Session for $165, considering you are putting $7k on the line it’s a basic step that everyone should take so you know what you are getting yourself into. Dear Avelyn, can I get marry my fiance on a granted 820? Hi Eline, thanks for your question. I’m not 100% sure what you are asking. Can you give me some more details? Do you want to apply for a onshore Subclass 820 Visa? Hi Leila, Generally, no, it doesn’t matter when you get married for the Subclass 820. This would normally only be an issue if you were applying for a Prospective Marriage Visa, subclass 300. It’s a really good idea to get a little bit of advice before you lodge your application.